I would love to come to your Club, Area or Division and do an Exceptional Evaluations workshop. Please get in contact and we will get a date organised. On this page I answer some of the questions that commonly come up about potentially hosting the workshop. If you don’t see what you need here please leave a comment below and I will let you know/update the list of questions here. Most clubs have a mix of newer and more experienced members. As such, the structure of the workshop is purposely designed to give benefit to both groups. However, if your club is nearly all newer members please let me know. I can tailor the workshop to cut some of the more advanced tips and give more time to typical early stage mistakes and practising the techniques. Some members are also interested in competing in the Evaluation contest in the Spring each year. As part of the session, there is specific advice for these members. In 2013, I mentored Eddie O’Hanlon of the Dublin Club to 2nd Place in the District finals of the Evaluation contest. I have also had several previous workshop attendees placing in their Division contest finals, having never won at the club level before. They all credited the process that they had learnt at the workshop. Does the workshop cover Table Topics Evaluation and General Evaluation? Not specifically. I take a comprehensive look at the Evaluation role in particular. As part of the Q&A, if people wish, we can cover a few elements of Table Topics Evaluation and General Evaluation. Many of the basic principles of evaluation apply to Table Topics and General Evaluations but with the added pressure of time. The workshop runs for up to 2 1/2 hours including a 10-15 minute break. The workshop starts with a highly interactive session discussing all the elements of an Exceptional Evaluation. Typically this lasts around 75 mins. Then it is time for the break. After the break we will have a target speaker give a CC manual speech. This will be followed by several volunteers from the audience giving evaluations of that speech. After each evaluation, there is a facilitated discussion about that evaluation – what worked, what could be worked on. Finally we conclude the session. Do you customize the workshop? Could you do a 30 minute / 60 minute version of the workshop? Unfortunately, to heavily customise/change the workshop is too time consuming for me to do as a volunteer. I also feel strongly that cutting out elements short changes the audience. As such, while I will emphasise different elements more or less, depending on the experience of the audience, I do not create bespoke workshops for each club. How many people can attend a workshop session? Do you have a flyer to help me market the workshop? Yes. Take a look in the Download page of this website – there is one there. Note that you need to fill in a few details but the hard work is done for you! As a host, what do we need to provide? The only two things that I need from a host are a flipchart (with paper!) and a target speaker. In an ideal world there would be two flipcharts but this is certainly not essential. The target speaker should be someone who is working through the CC manual. They should be confident enough to get several rounds of feedback but not so good that the evaluators are going to struggle to come up with recommendations. I will need access to the meeting room around 1/2 hour before the meeting is due to start. I can handle the rest. How much does it cost to put on? I do the workshops for free. 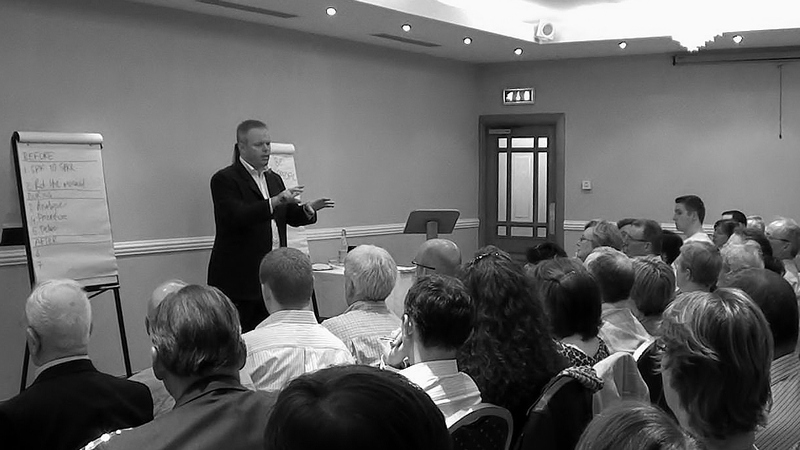 However, I have done this workshop in Dublin (twice), Belfast, Cork (twice), and Edinburgh amongst others. Given that I live in London the costs of doing this workshop, without help, could be prohibitive. As such, where total costs of travel and accommodation (if needed) are more than £20, I will ask for financial help. Typically, the host club, Area or Division will charge a few pounds on the door and this will allow them to pay my expenses. Do we need to provide an agenda? No. I will explain the agenda early on as part of the workshop. What roles do we need to organise for the evening? The only thing essential role is that there is someone to introduce me and for me to hand back to at the end of the evening. The session is very relaxed. Personally I don’t need a timer but if the speaker wants one then you may want to organise one. How should we introduce you? Quite often I get asked if I can supply an introduction. Please feel free to contact me and I will forward something on to you that you can use.